The fish are biting! Are you ready to go catch them? Whether you are a first-time angler who wants to learn, or an age old pro looking to catch dinner, you can check out fishing equipment from one of several South Carolina Fishing Tackle Loaner Program Sites. At an official FTLP site, you can borrow a rod, reel and tackle box... everything but the fish! FTLP sites also have helpful hints on topics such as tying knots, rigging a line, what bait to use, and other information you need to know to be prepared for your first fishing trip. A day of fishing is a wonderful way to enjoy spending time outdoors with friends and family. 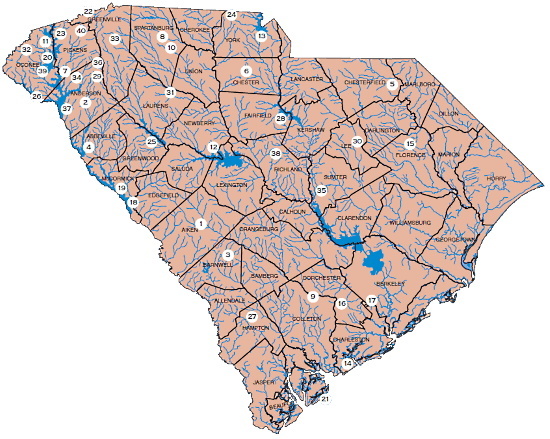 SC Tackle Loaner Program - Statewide Locations (PDF) is available for download.